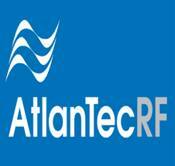 AtlanTecRF continues to be a leading brand name for RF & Microwave components and equipment in the industry, having been established for over 25 years. Products from AtlanTecRF include both standard and custom equipment, as well as multi-function modules, sub-assemblies, and super-components. Amawave is an AtlanTecRF distributor and stocks the products listed below ready for immediate shipment.